The first comprehensive introduction to cover the entire span of Kierkegaard’s authorship. M. Jamie Ferreira is the Carolyn M. Barbour Professor of Religious Studies at the University of Virginia in Charlottesville. She holds a Ph.D. in the Philosophy of Religion from Princeton University, has taught Religious Studies and Philosophy for 30 years, was president of the Søren Kierkegaard Society and has been a Visiting Professor and Research Associate at the Søren Kierkegaard Research Center at the University of Copenhagen. She is the author of Doubt and Religious Commitment: The Role of the Will in Newman's Thought (1980); Scepticism and Reasonable Doubt (1986); Transforming Vision: Imagination and Will in Kierkegaardian Faith (1991); and Love's Grateful Striving: A Commentary on Kierkegaard's Works of Love (2001). 2. Either – Or and the First Upbuilding Discourses. 3. Repetition, Fear and Trembling, and More Discourses. 4. Philosophical Fragments, The Concept Of Anxiety, and Discourses. 5. Concluding Unscientific Postscript and Two Ages. 6. Works of Love, Discourses, and Other Writings. 7. The Sickness unto Death and Discourses. 8. Practice in Christianity, Discourses, and the “Attack”. 9. Looking Back and Looking Ahead. 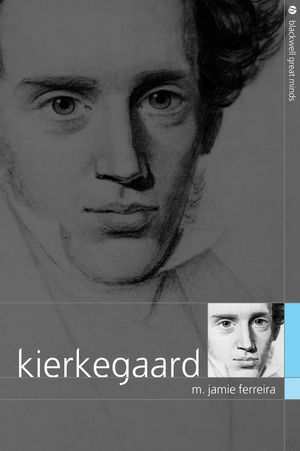 The first comprehensive introduction to cover the entire span of Kierkegaard's authorship.